When I do think of winter reading, I think of cozy reads. It’s a time where I grab a lot of fantasy, to get out of my own wintery reality and escape to a magical fantasy land. It’s also a time where I love re-reading old favorites and binge-read entire trilogies or series. Thinking about all this, my favorite winter book suddenly came to me, because it fits all of the above. It’s a magical fantasy, it’s an old favorite and I binge-read the whole trilogy one winter. 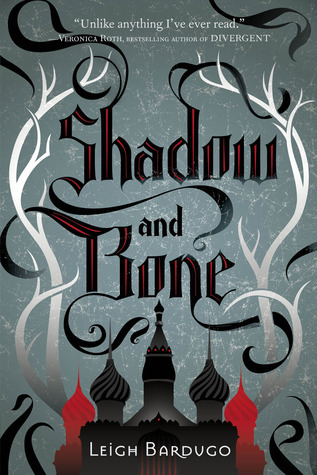 Plus, it’s set in a cold wintery setting, so it’s a perfect fit: Shadow and Bone by Leigh Bardugo, book one in the Grisha trilogy. What’s your favorite Book set in winter? Hmmm…thinking of a book set fully in Winter is kind of tough. I like books that follow a whole year though, like the Harry Potter series so you get some Winter fun! You’re so right, I love those books that last a whole year too! Haha, sorry to not be a fan of snow 😉 Hope you’ll get some snow though if you enjoy it!